The town of Juno Beach is a wonderful seaside community where residents young and old enjoy a great quality of life. The town is dedicated to maintaining the pristine, natural beauty of its beaches, giving this quaint town a high reputation amongst surrounding communities. With much of the population being seasonal residents, the community is a great place to vacation or enjoy a quieter lifestyle year round. Juno Beach real estate offers plenty to choose from. There are a number of beautiful, waterfront properties which offer spectacular views to their residents. These homes range from condominiums to spacious, single-family homes. Wonderful communities offer a range of amenities, with clubhouses and swimming pools giving residents a place to come together with family, friends, and neighbors. More than 40% of the town of Juno Beach is made up of protected park land and environmental green space, and there is no shortage of scenic beauty. Outdoor recreation is ever-present in Juno Beach, with many residents choosing to spend their free time under the Florida sun. The town is home to its very own Pelican Lake. There are also a number of biking and walking trails throughout the area. The Seminole Golf Club provides the perfect place to enjoy a view rounds to its residents on beautiful greens. The beaches of Juno Beach offer those pristine white sands, blue waters, and constant sunshine that so many residents have come to know and love. For surfing, strolling, or sunbathing, Juno Beach has it all. 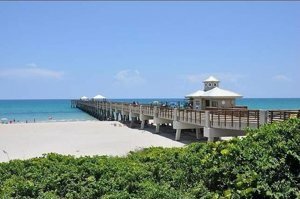 The Juno Beach fishing pier is one the area’s most popular attractions. This 990-foot pier offers its guests an amazing and unique saltwater fishing experience. Others enjoy the beautiful sunset view the pier offers while taking a leisurely walk at the end of another wonderful Juno Beach day. A wide range of restaurants in Juno Beach offer something for every taste. Friendly local bars, fresh seafood, and casual eateries are town favorites. Local surf shops, gift stores, and boutiques provide a unique and charming shopping experience. Juno Beach is also a wonderful place for the arts, holding art festivals and other special events throughout the year. Though tourism thrives in Juno Beach, it is still a wonderful, quiet, and safe place to live year-round. 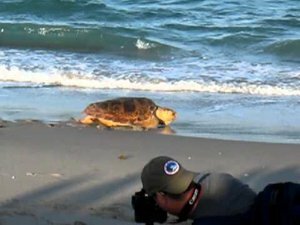 A number of seasonal residents, nicknamed Snowbirds, take advantage of Juno Beach’s year-round sun as an escape from the harsher winters up north. Whether looking for a place to spend your vacations or a wonderful new Florida home, Juno Beach can be the perfect fit. 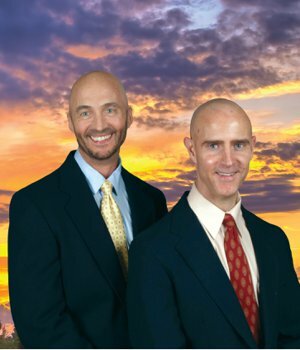 Residents of Juno Beach are served by the Palm Beach School District. The school district is home to many schools known for their excellent academics, athletics, and extracurricular activities. There are also several private and independent day schools within the town. Juno Beach prides itself on its natural beauty and has a dedication to preserving the scenic views its location provides to it. This friendly town thrives with seasonal residents, and is a wonderful and quiet place to live throughout the year. No matter what you are looking for, Juno Beach has so much to offer. Search Juno Beach Homes For Sale including houses, condos, and townhomes for sale in Juno Beach FL and the surrounding area. ASK ABOUT OUR COMING SOON LISTINGS ! Check you home value instantly. Welcome David Weinthal To Our Team!